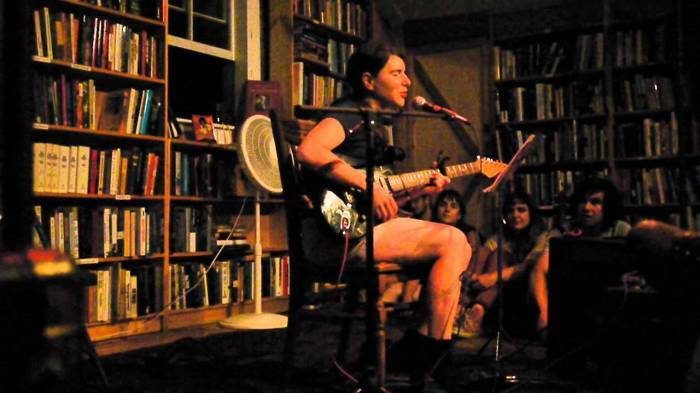 Ruth Garbus is a Brattleboro, Vermont music dweller. Perhaps most notably, she’s also a member of Happy Birthday with Mr. Kyle ‘King Tuff’ Thomas, but don’t get hung up on that right now. No, today we’re talking about her solo digs where there is a wealth of material that will warm you to the core. Tailor-made for grey January days; it’s what you need, jack. Listen to “Certain Kind” from her Joule EP below. Like a bedroom siren channeling her inner Hollies [first comparison I could hear/oddly think it fits]. It’s beautiful. The single is still available from OSR Tapes. Buy it buy it buy it!